Many Nevada residents may think a will is all that is necessary to ensure their loved ones are taken care of after their own death. However, when it comes to estate planning, probate is something that needs to be accounted for, as it will affect how assets are passed on. With or without a will, most assets will have to go through probate, but there are ways to avoid the process, and it can helpful to know the difference. When someone passes away, probate assets are any which are in that person’s name only, meaning ownership is not shared with anyone else, like a spouse. After a court has verified the will’s validity, probate proceedings begin and may include things like property appraisal and payment of the deceased’s debts. Remaining assets are then distributed per the will. Probate may not especially complex, though it can still take up to a year. However, if the will is contested, the process can become drawn-out and costly, and may result in unintended parties inheriting assets. 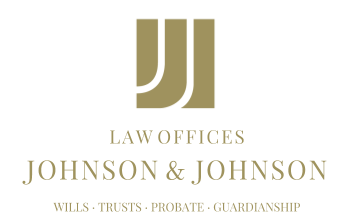 Non-probate assets are those for which a beneficiary has been named before death. These can be jointly-owned assets, in which case the other owner receives them automatically. Non-probate assets also include things like life insurance policies, IRAs or bank accounts where a beneficiary has been designated. A trust is also an example of a non-probate asset, as the trustee transfers assets to the beneficiary after death. Non-probate assets allow for the direct transfer to beneficiaries, expediting the process while avoiding the expense of probate. A Nevada estate planning attorney can help navigate the ins and outs of estate administration and probate. Whether an individual wants to avoid probate by establishing a trust or feels a will is best suited to his or her needs, a lawyer can help. Attorneys can also provide counsel and representation for family members of the deceased who now find themselves involved in the probate process after the loss of their loved one.